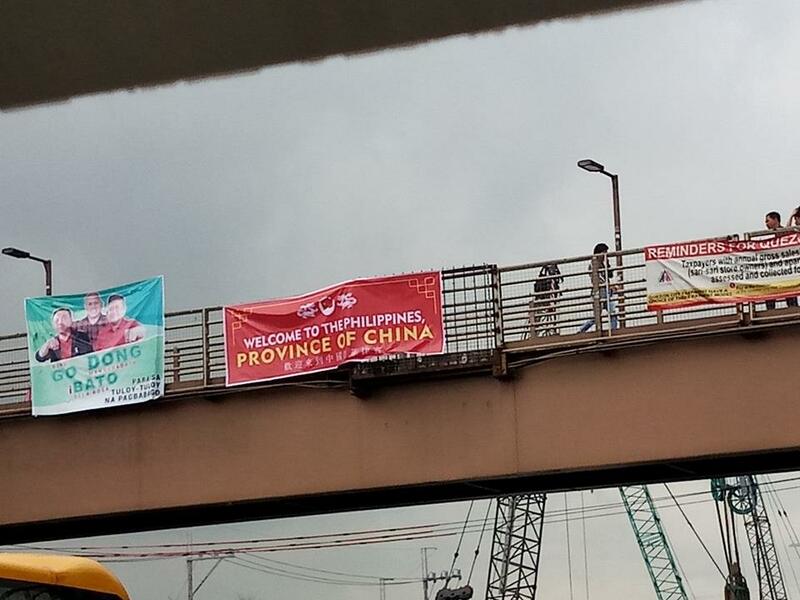 MANILA, Philippines – Banners bearing the statement, “Welcome to Philippines, Province of China” were hung over several footbridges in parts of Metro Manila. On Thursday morning, July 12, 2018, in time for the second anniversary of the Philippines’ victory in an international arbitration court over China’s claim in the South China Sea, the public were greeted by huge banners claiming that the Philippines is now part of China. The red banners had the flag of the Republic of China and its “welcome” message was written in both English and Mandarin. It is still unclear who were responsible for the act. Several more banners were spotted along Quezon Avenue in Quezon City, southbound lane of C5 and even one where tourists are most oftenly welcomed, near the Ninoy Aquino International Airport in Pasay City. The spokesman said that they have no plans of doing anything about the banners and said, "Wala po kaming gagawin. Pero I'm sure may mga taong nais kunin 'yung tarp para gamitin siguro pamunas ng sahig or something... o ilalagay sa kubeta." In the end, Roque assured the public that the fight for the West Philippine Sea will continue. “We assure the public on the second year anniversary that we will continue to assert what is ours while we move on with our bilateral relations with China," Roque said. 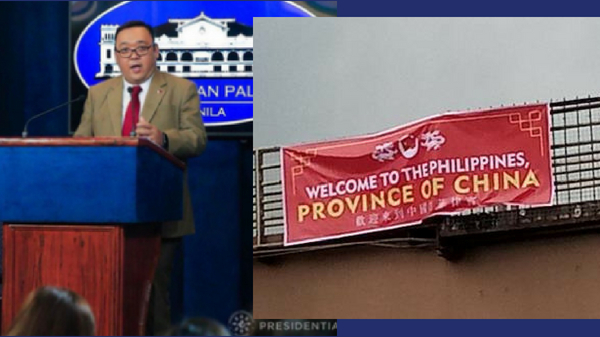 Meanwhile, Former Solicitor General Florin Hilbay who was responsible for leading the case against China in the Permanent Court of Arbitration, called out the removal of the banners. “Not funny. On this day, July 12, we commemorate our victory in Philippines v China,” Hilbay wrote on Facebook. President Duterte jokes: Why not make Philippines a province of China? It was around February this year when President Rodrigo Duterte made a joke that China should just make the Philippines one of its provinces. The President’s statement came after Chinese President Xi Jinping gave him assurances that China will not build any structures on the disputed Scarborough Shoal.